A returned check is a check that the bank does not honor. The check will be returned to the bank that submitted the check for payment (typically the recipient's or payee’s bank). If you are the check writer, it means that your bank will not pay the person or business to whom you wrote the check. If you received the check, a returned check is a check for which you won’t get paid (at least not right away). Let’s go over the basics of returned checks and what to do if you have one. There is not enough money in the account (insufficient funds). A stop payment was placed on the check. The check is too old to honor. The check was improperly written. Returned checks are more and more likely than ever before. Banks and businesses process checks electronically, and even consumers can deposit checks with their mobile phones. 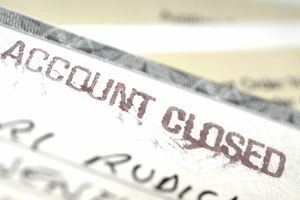 What worked in the past (writing a check while your account is low on funds) might not work anymore. It is increasingly difficult to float checks and hope that funds will arrive in your account before your check gets deposited. Nowadays, even if you write a check on paper, there's a good chance that the check will be converted to an electronic check at the checkout register and funds will come out of your account quickly. If you’ve received returned checks as a merchant, you may wonder what you can do about people who write bad checks. Just ask: For starters, you can still try to collect the money. Try to contact the check writer and request that they make good on the payment; it may have been an honest mistake, and they may have every intention of paying you. This is one reason it’s good to verify that checks always show a current phone number. A trip to the branch: You can also visit a branch of the bank the check draws on (look for the bank name on the face of the check) and try to cash it. The money you need (if it exists) will be at that bank (not your own bank, which will present the check a day or two after you deposit it there). When you visit the bank in person, you may also be able to avoid bounced check fees for depositing bad checks at your bank. As you now know, you're the one who gets dinged (through no fault of your own) when a customer check is returned. Of course, you’ve got better things to do with your time, but this may be your best option. Good timing: If you’re fortunate, you'll be at the bank shortly after the check writer has deposited money. The beginning or end of the month might be a good time to try and collect if the person gets paid with direct deposit. You can also try to save yourself a trip by calling the bank and asking to verify funds on the check. However, banks are not always willing to verify funds due to privacy concerns. Next steps: If the check writer will not make good on the returned check, you may have to take additional steps. For example, you might file a lawsuit against the check writer, and you can send their account to a collections agency (although both of those are probably only cost effective for large checks). Know the law: Each state has different laws on how to handle returned checks, the penalties, and dollar limits. Contact your bank or your local District Attorney’s office for instructions on how to deal with any returned checks you currently have. Obtain a check verification service that can help you identify customers who have a history of writing bad checks. Contact the customer's bank to verify funds before accepting a check and letting the customer leave with merchandise. Convert checks to electronic checks or deposit them immediately with your mobile device (if possible). Charge a fee to customers to discourage bounced checks and to compensate you for your time (be sure the fee is disclosed properly at the point of sale and complies with all laws). Encourage other forms of payment. It can be costly (and risky) to accept card payments, but if you come out ahead, it's worth it. You’ll end up paying a lot in fees (both to your bank as well as to whomever you wrote the check). Your bank may close your account, and other banks might reject you as a customer. You can find yourself with legal problems, since writing bad checks is illegal. Your credit can eventually suffer, making it difficult for you to borrow money (or get a job or insurance) someday. You’ll end up in databases used by banks and retailers, making it harder to open accounts and write checks in the future.